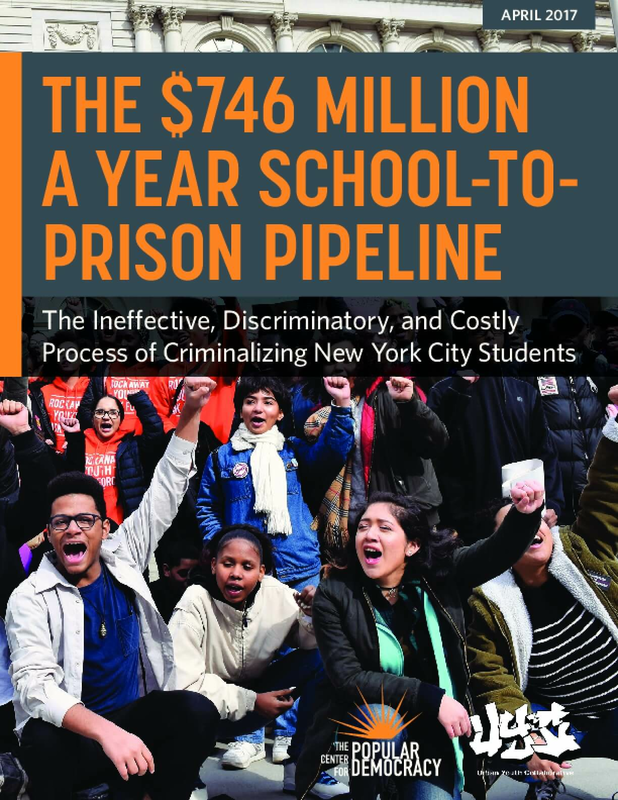 This report, released by the Center for Popular Democracy and Urban Youth Collaborative, reveals the staggering yearly economic impact of the school-to-prison pipeline in New York City, $746.8 million. 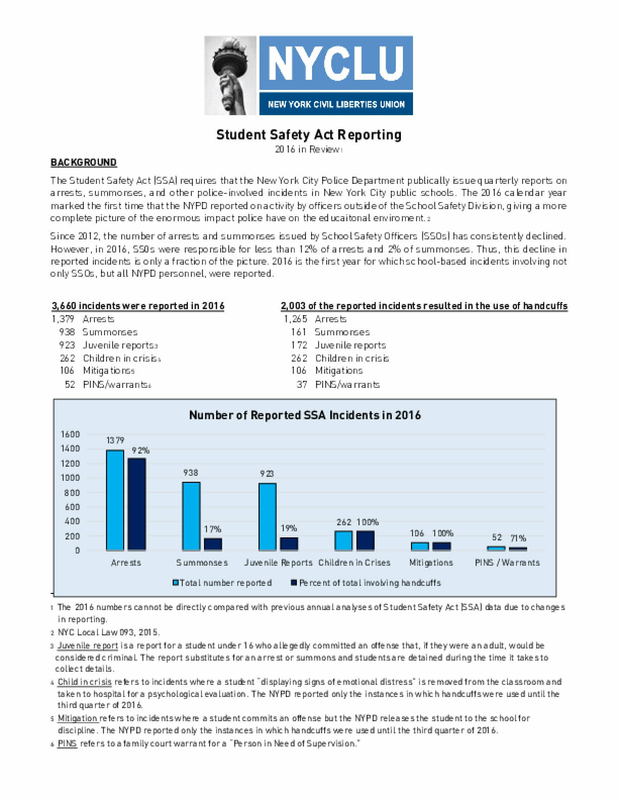 In addition, it presents a bold "Young People's School Justice Agenda," which calls on the City to divest from over-policing young people, and invest in supportive programs and opportunities for students to thrive. 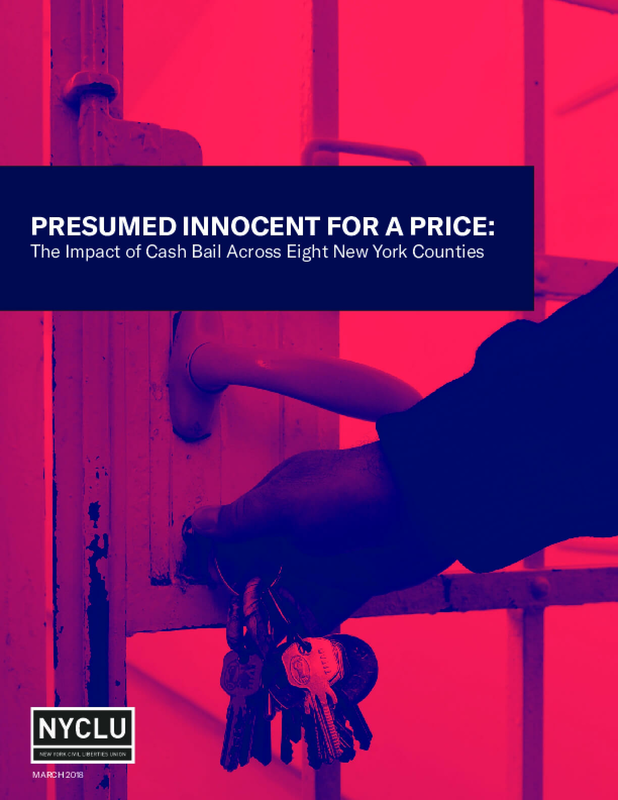 New evidence of the astronomical fiscal and social costs of New York's school-to-prison pipeline demand urgent action by policymakers. 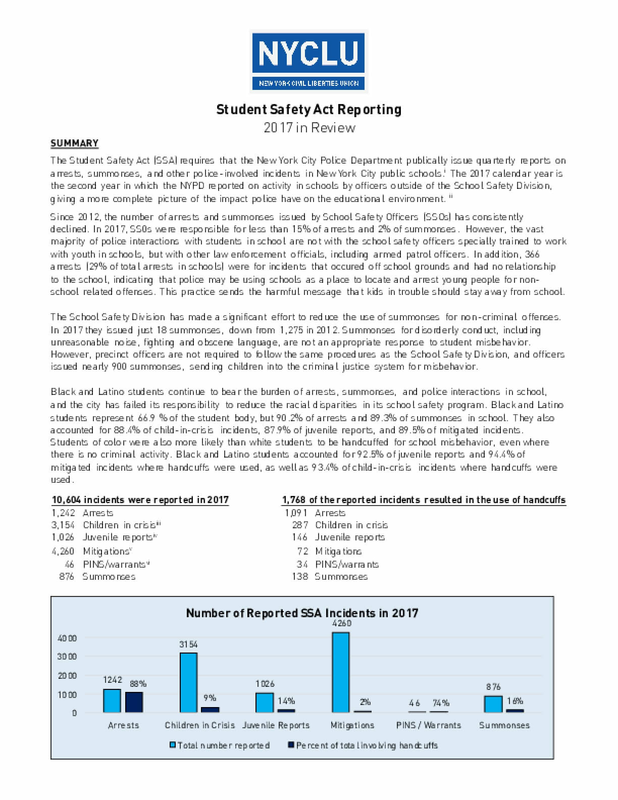 The young people who are most at risk of harm due to harsh policing and disciplinary policies are uniquely situated to lead the dialogue about developing truly safe and equitable learning environments. This report highlights the vision for safe, supportive, and inclusive schools developed by these youth leaders. 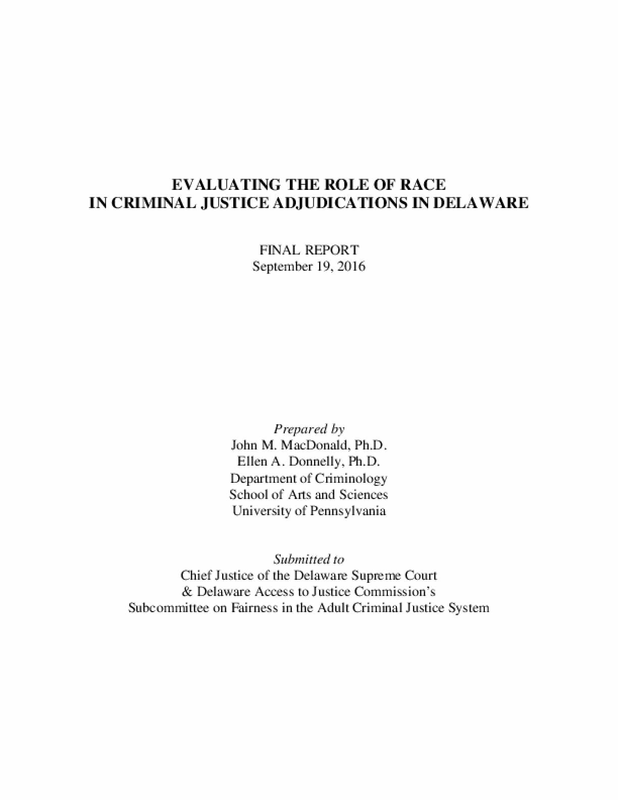 This study by John MacDonald and Ellen Donnelly, conducted at the request of the Delaware Access to Justice Commission's Committee on Fairness in the Criminal Justice System, involved a statistical review of all adults arrested and charged with a criminal offense in Delaware between 2012 and 2014 to determine the extent to which race is a factor in explaining the likelihood or length of any subsequent incarceration sentence. While the authors caution that the study does not identify exact causes for any observed disparities, factors such as the offense charged at arrest, pretrial detention and contextual factors such as criminal history appear to be important contributors to Black/White differences in incarceration. 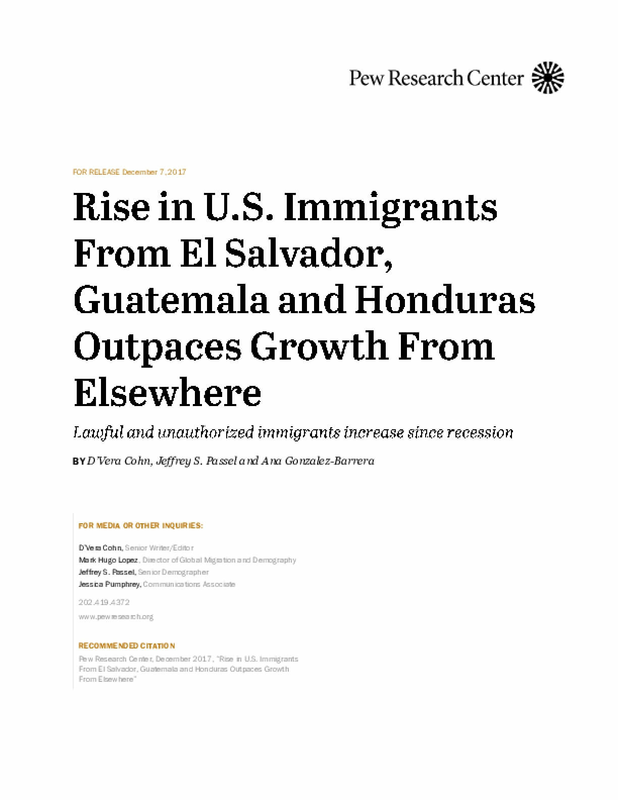 The number of immigrants in the United States from El Salvador, Guatemala and Honduras rose by 25% from 2007 to 2015, in contrast to more modest growth of the country's overall foreign-born population and a decline from neighboring Mexico. During these same years, the total U.S. immigrant population increased by 10%, while the number of U.S. Mexican immigrants decreased by 6%, according to a Pew Research Center analysis of U.S. Census Bureau data.